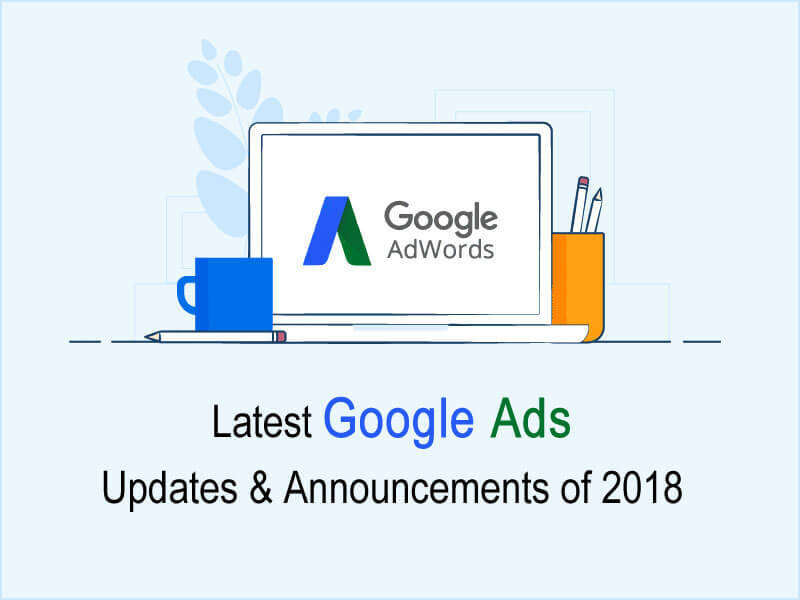 Latest Google Ads Updates & Announcements of 2018, one should Never Miss Out! By now marketers would have come to a conclusion "expect the unexpected" as Google has brought in shocking announcements and updates. Yes! Google has brought in a huge list of updates for the year 2018. These updates can assist businesses optimize their campaigns in a smarter way. Well, if you think you haven't made use of Google's updates, it is not too late to make use of them onto your ad campaigns. So here is the complete list to lever your Google ad campaigns cleverly. We have wrapped up the content and made it into a brief list, for your convenience. 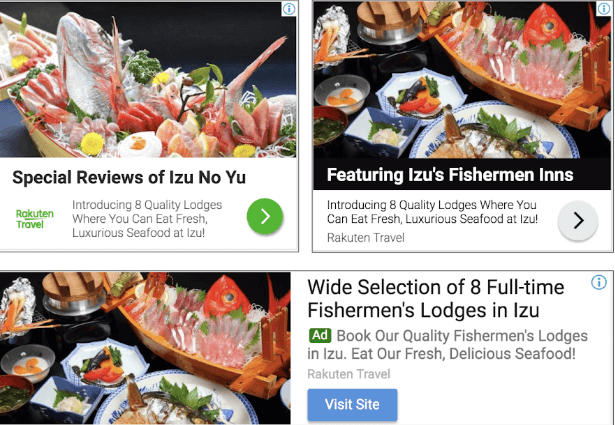 New Prospecting Features for Google Display ad campaigns. Responsive Search Ads with more text. Google has brought in Pay for conversion, to make payments only for the conversions earned out of your Ads rather than paying for all impressions and clicks. For instance, let us imagine your target CPA is $10 and you have gained 40 conversions over the weekend. When you use "pay for conversions" you will only pay $400, with the actual CPA of $10 which indicates, you pay nothing for clicks and impressions on your Ads. Your Ads account should have at least 100 conversions in the past 30 days. The time between the clicks to the conversions must be shorter in the last seven days, for at least 90% of the conversions. If you hold these two criteria, you are qualified to use "Pay for Conversion" for your ad campaigns. Now Videos are made more interactive in a way that the viewer can directly get hold to the services or products just in few clicks. This can also be called Click-to-Action. 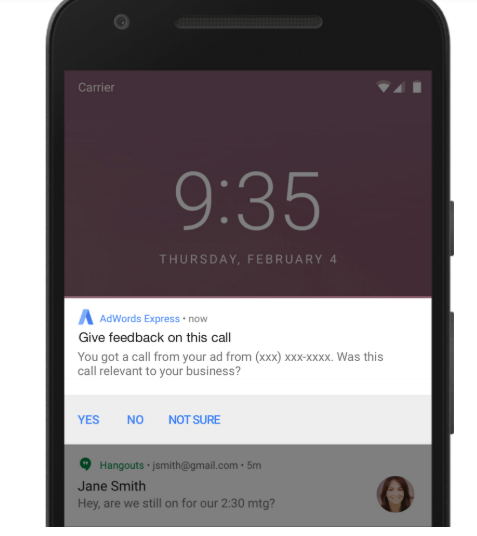 To simplify Google's interactive features, Google gave a red card to YouTube's call-to-action overlay and introduced a new call-to-action feature in Google Ads. 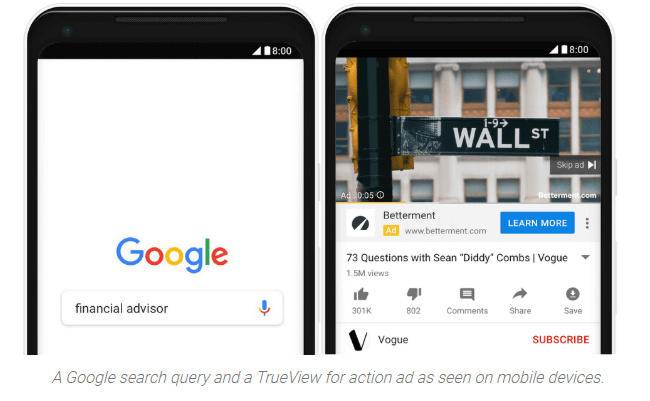 This CTA feature applies to True View in-stream Ads and in the later stages to Bumper Ads and True View video discovery Ads. Google introduced four new tools for Responsive Search Ads. These tools allow the advertisers to access the current reporting status of headlines, description or a combination of these two. Hence, they can be called as reporting and feedback tools. 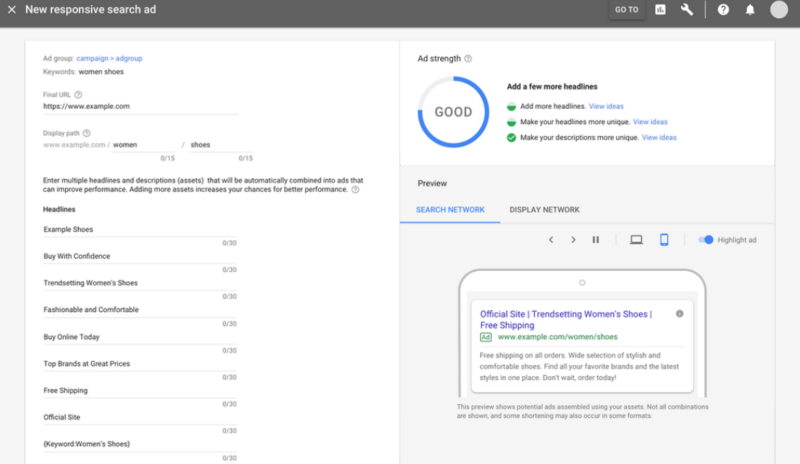 Google Ads will display a dynamically changing ad strength indicator while creating Ads. It will also help you identify which set of keywords or which Ads perform better. This feature is useful for advertisers who have trouble in deciding the Title and its Description for their Ads. Google would suggest several headlines and descriptions suggestions. The latest information regarding ad strength will appear in the Status column, indicating if Ads are losing impressions or getting disapproved. Import Headlines and Descriptions from existing Ads. Headlines and description can be imported from the existing responsive search Ads in the same ad group. Now the responsive search Ads are in 10 different languages. 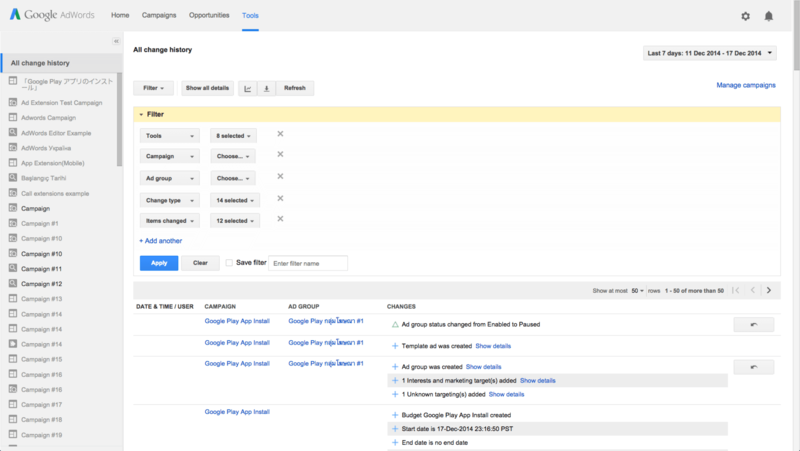 Update #4: New Prospecting Features for Google Display ad campaigns. This option is available under the campaign setting in the form of a slider tool in adjusting the audience reach by increase or decrease, to drive better conversions. This allows you to drive better conversions at the same average CPA. With the launch of this slider tool, you will be able to increase or decrease the audience reach. Google automatically creates and refreshes custom intent audiences based on the most common keywords and URLs. Google has been implementing various new metrics in measuring the ad ranks,which helps in comparing among competitors in the marketing sector. These metrics are based on the ranking of your Ads and some on impression shares.But remember that the calculations may differ between campaigns. Absolute top impression share the percentage of impressions shown when your ad appears as the very first position above the organic search results. Top impression share - the percentage of impressions shown if your ad appears in any position above organic results. Search absolute top impression share - the percentage of impressions if your Ads gets displayed on the first and top of the searches above the organic results. Search top impression share - the percentage of impressions when your Ads are shown anywhere on top of the organic searches. Search lost top impression share (Rank) - the percentage of the number of times your ad did not appear on the search page due to poor ad ranking. Search lost top impression share (Budget) - is the percentage of the number of times your Ads were hidden due to low bidding budget. Deprecation of Adsenseformobileapps.com placement exclusion. Deprecation of 'G-mob mobile app no interstitial' content exclusion. Device targeting will be consolidated to four devices- computer, mobile phones, tablet and TV screens. 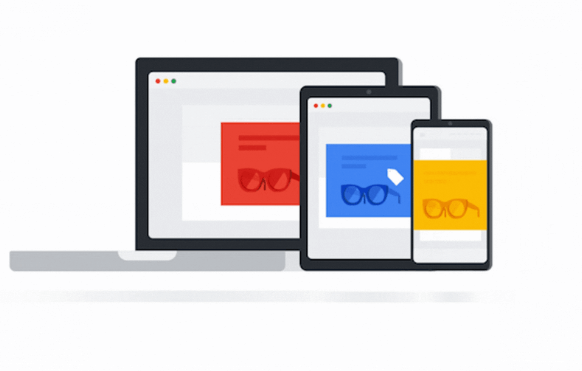 Google introduced the cross-device feature in Google Analytics, to help advertisers optimize their campaigns, in a way that delivers a more tailored experience to the customers. With the introduction of cross-device tracking advertisers will be able to follow the activity of individual users, rather than viewing separately by a device. To make use of this Cross-Device feature, visit the Admin section of Analytics account and click on to the settings to activate the Google signals. 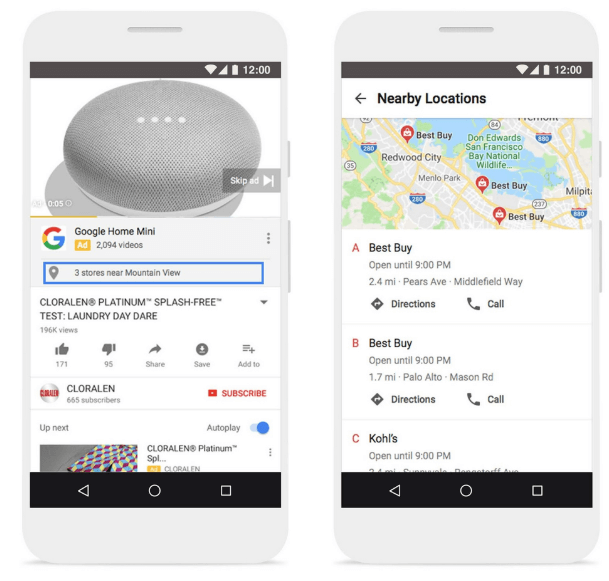 Now Google has defined a new type of ad as default ad type for Display network. This type of ad works in a combination of machine learning and advertiser's creativity. With the advancement of Google's new Responsive Display Ads, it lets you add up to 15 images and 5 headlines. If you wish to stand out of the crowd, you can add on the logo of yourbusiness to the responsive display Ads. Call extension is a direct way to connect customers directly to the businesses. The conversion from call extension can be tracked from call duration, call timing, area code and additional information can be fetched using call reporting. To enable call reporting for your ad campaigns: Sign in to Google Ads account > All campaigns > click toSettings from page menu > Account Setting Tab >Call reporting > Turn it "ON"
These day's customers are much more concerned about buying a product. They make a number of researches before the purchase. Users may even check live reviews of the product through YouTube. 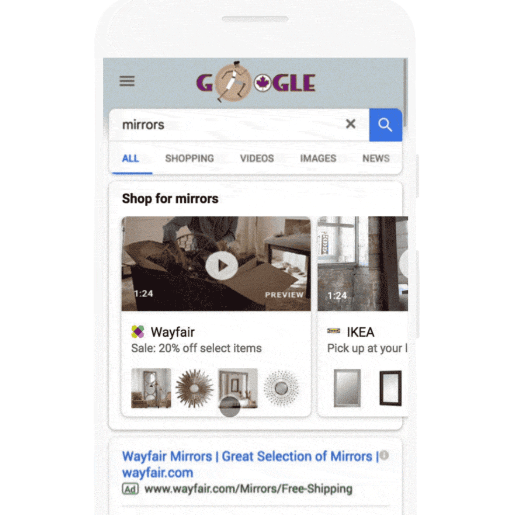 As audience are more into videos, Google has introduced shoppable image Ads and videos in showcase shopping Ads, which helps customers, gain better knowledge about the product, even its usage. Until today exact match (EM) made use of the exact keywords that are being searched by the viewers, but now with the appearance of keywords with similar meaning, the searches would fetch EM with exactly matched keywords along with keywords possessing the same meaning. 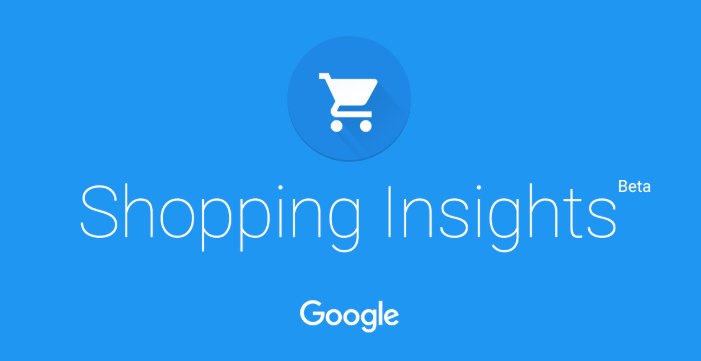 Google has introduced a version of Shopping Insights tool for the marketers to gain knowledge about the trending products and services locally, nationally and internationally available in the market. This tool helps the marketers know which season is performing better and know which products are trending in a particular season in a specific region. It can also help businesses compare their products to their competitors and optimize their campaigns accordingly. This tool can also be said as a sanctified tool to be used by every marketer. 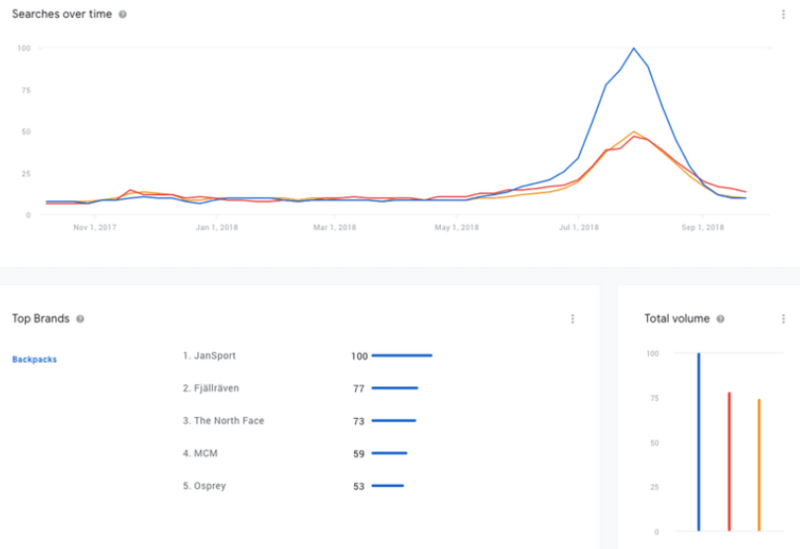 Let us learn better with an example, "The most-searched backpack brands of last 12 months were Jan Sport, Fjällräven and The North Face, classic brands that have been around for at least 50 years. Searches for the category and all three brands peaked during back-to-school season in 2018, and saw slight growth during the holiday season." Google has taken a step in recording/ monitoring calls from call-only Ads or call-only extension for a few number of calls. This is to detect fraudulent and spam advertisers and shut them down. "Evaluating call quality ensures that advertisers are providing a positive call experience and prevents caller spam and business fraud. "- Google Ads Help. The calls will be recorded for the advertisers who make use of the call-only extension for the first time, Google will monitor their calls in the initial stages to evaluate the quality of the calls, whether the customers obtain what they ask for, or if it is a spam advertisement or a fraud advertiser. This does not apply to all calls from the customers, but just for a few calls for quality assurance in the initial period of usage of call-only extension, all over the US. In short, Google will be recording all the call-only extension calls and call-only Ads for a small fraction call of the US. This will result in a pre-recorded voice saying that the calls are being recorded for quality purpose. 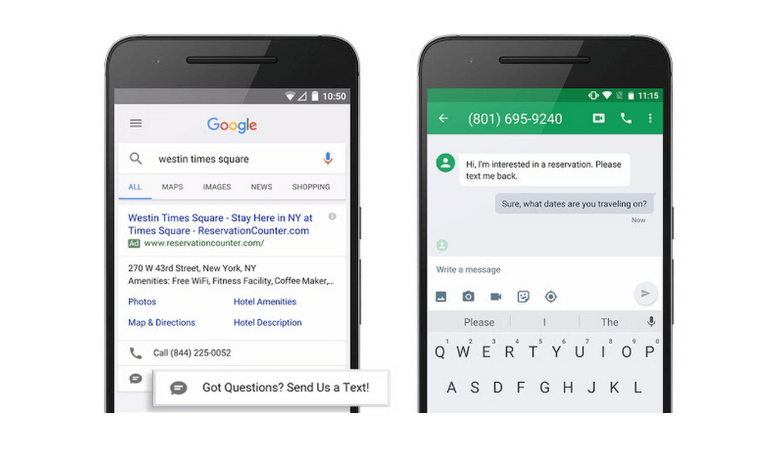 As Messaging has become more popular means of communication, Google has launched click to message feature to convert customers through text. Most of the smart users opt for texting rather than filling a form. Making use of this feature will allow the customer to start a conversation and proceed to purchase in their own convenient time. This feature is easy to use, tapping on to the click to message icon it will direct the user to their SMS app, there are even options with predefined texts like "I'm interested in a reservation. Please text me back with more information. "- Google. This click-to-message option will also give you the option which text to choose from. With the help of machine learning, Google has enabled advertisers to use maximum 3 headlines and 2 descriptions with an increased character limit of 30 chars for headlines and 90 chars for the description. This will allow advertisers to make Ads more personalized and relevant according to user preferences. This update of additional headline and description is more likely to increase the number of clicks to your Ads. Each day consumers are becoming more demanding in obtaining the most relevant Ads to their searches. This has made many advertisers suffer; to change the situation, Google has brought in ad strength indicator to check the quality of your Ads. The indicator ranges the quality of the ad from "Poor" to "Excellent" and also provides suggestions in improving the Ads quality. This will also be available to the advertisers at the time of creating an ad. 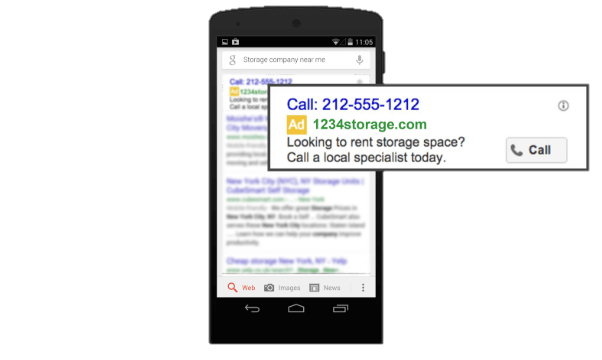 Responsive Search Ads allow you to create Ads that contain more text and more relevant to the customers. With responsive search Ads, advertisers can feed up to 15 different headlines and 4 descriptions. This is being tested by Google Ads using AI that will automatically test in various combinations and picks the best combinations that work for your Ads. This type of testing has become more advanced than A/B testing. As Google suggests a best practice for advertisers, "We recommend that all of your search ad groups contain 3 or more Ads, including a responsive search ad. Pair them with 3 ad extensions and the "optimize" ad rotation to make sure your Ads are as relevant as possible." As per the request by the Google report editor users, Google has introduced chart time comparison to compare two different performances in the form of a graphical representation. As heretofore, the Google Ads Report Editor could only picture data for one period at a time. This will enable the user to identify the performance over time. This is a fantastic add on feature to visualize the performance of their campaigns over one period versus the other. You can also check the performance of your campaign in Google Ads report editor for an hour of the day, a day of the week, day, week, month, quarter, and year according to your need. Pause and un-pause campaigns, Ad groups and keywords. Edit the budget of the campaigns. Modify keywords and Group bids. Make changes to the Ad copy. Adding on negative keywords to make your Ads appear only to relevant searches. Google has extended reporting on location extensions adding on to the action on location extension. The aim of introducing this tool is to check whether the clicks and impressions are turning to be store visits. This tool will also help marketers identify which Ads perform better. The key ingredients of this new metrics include Clicks to calls, directions, Website visits, orders (vertical-specific), Menu views (vertical-specific) and other engagements. 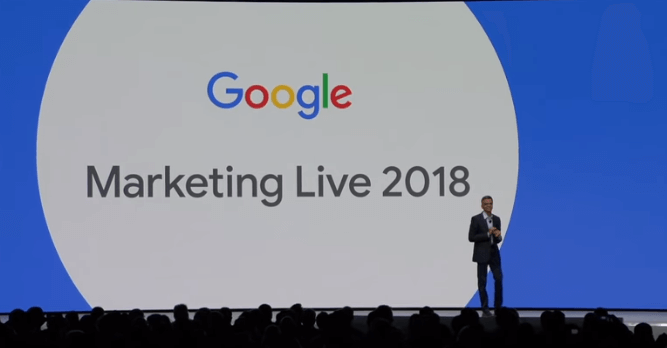 In the Google Marketing Live, Google introduced the adjoining of Google Hotel Ads in Google Ads. 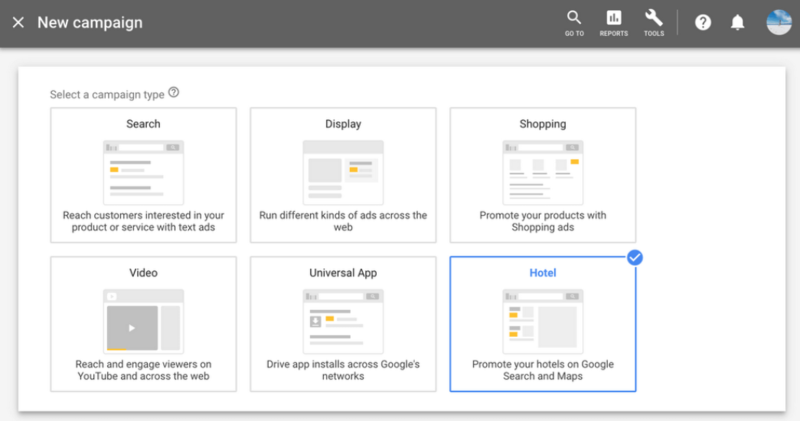 This will allow advertisers to optimize Hotel Ad campaigns successfully. Since 2010, Hotel information was being displayed on Google, but sponsored hotels in Google Maps only made use of them. 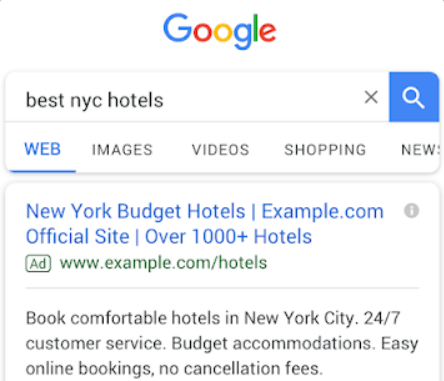 From there on, Google started to expand Google Hotel Ads to more than 150 countries. These lied as a helping hand for those travelers in searching for hotels and help them enjoy hotel deals. The customers will be able to view hotels according to brand and class in a Hotel group. This will allow advertisers in robust bidding, which will enable them to optimize bidding according to the number of days stay and audience bidding. Smart bidding with machine learning will add on to your ROI. A responsive interface is available with the newly redesigned Google Ads - Rich reporting. With the same and much more advanced and simplified features, Google Adwords has been rebranded to Google Ads. The reason that lies behind this change is that "Word" means only search Ads, therefore now Google Ads means a bundle of three varied campaign types including Search, Display and Video for the efficacy of your Ads. This change over has impacted even the URL, you make use to login to your Google Adwords account from adwords.google.com to Ads.google.com and the help support has also been replaced to support.google.com/adwords to support.google.com/google-Ads. But remember the rebranding of Google Adwords to Google Ads does not affect your campaign or your ad group or even your performance and reporting; it remains the same. With the rebranding of Google Adwords to Google Ads, Google launched live host with new updates on YouTube, search Ads, new advertiser tools for small businesses and announcements on Google shopping and local businesses along with new Google marketing platforms for advertisers. True view for reach : Making use of true view for reach allows advertisers to pay only for clicks by the viewers on their Ads to explore the products/services. 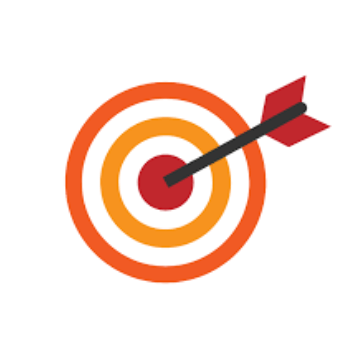 True-View action allows the customers to take actions on the video Ads they see. The productivity and forte of a brand using maximum life bidding can be measured by Maximum Lift Bidding. This will also help to know where exactly your audience is in the customer journey. Responsive Search Ads - With Responsive Search Ads, advertisers can create up to 15 headlines with 30 chars and four description lines with 90 chars. Google will combine the three best headlines and two best description lines. This is measured based on page speed and conversion rates, stretching from 'very slow' to 'extremely fast' on a scale of 1-10. This metrics will be updated on a regularly, i.e., daily. "91% of smartphone owners bought or plan to buy after seeing an ad they deemed relevant to them." - Nicky Rettke, Group Product Manager, Video Ads. 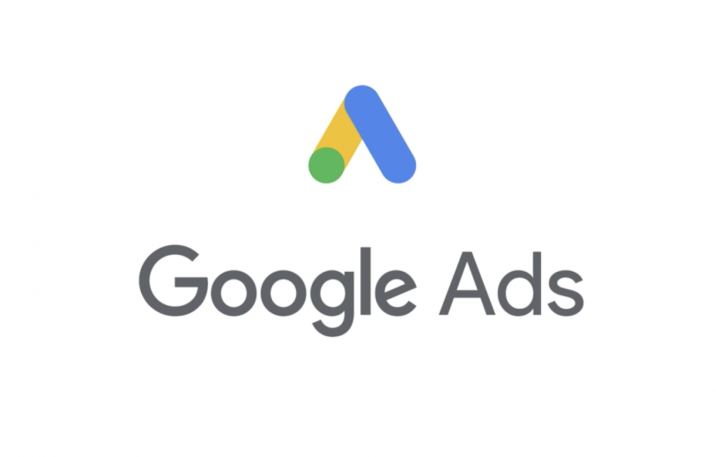 Advertisers on Google Ads, can now advertise, create remarketing and report across various devices giving an inclusive view to the customers. Smart campaigns tailor the experience for simplicity and they are great time savers and help small businesses focus on results. Builds a feed from your website to upload your initial feed. Display remarketing is available for smart shopping campaigns. Increase in Conversion value to 20% with the same cost spent in smart shopping campaigns. Customers can already sync on to real-time inventory with a Shopify store. In the upcoming days, they will be able to manage Smart Shopping, right from within Shopify. Search Ads 360 is the new name for DoubleClick Search. To fulfill the immediate requirements of the customers, Google has brought in affiliate location extension to video Ads on YouTube. This helps customers reach retailers with their extensions on their Ads. "We've seen that adding affiliate location extensions to True-View in-stream and bumper Ads can increase click-through rate by over 15%. 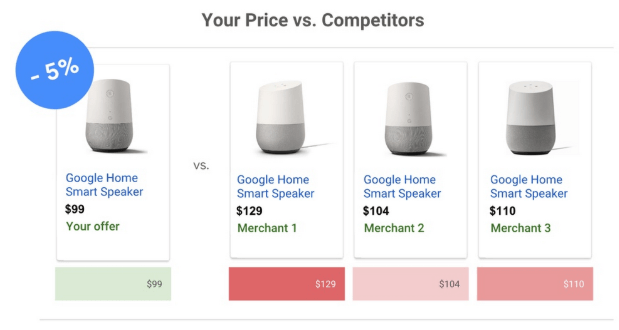 - Google"
Now advertisers who run Google shopping campaigns will be able to compare their products with competitor's products. By using competitive pricing insights, advertisers can raise their bids if they can compete with prices; they can down the bids for the products if they are unable to compete. This feature is available for users who have a physical store location. This feature can be a replica of traditional print campaigns. "One-third of shoppers say finding inspiration is something they enjoy most about shopping." - Google Ads. This has now created a hero image as it comes in easy-to-scroll mobile layouts making customers feel motivated in exploring more products. 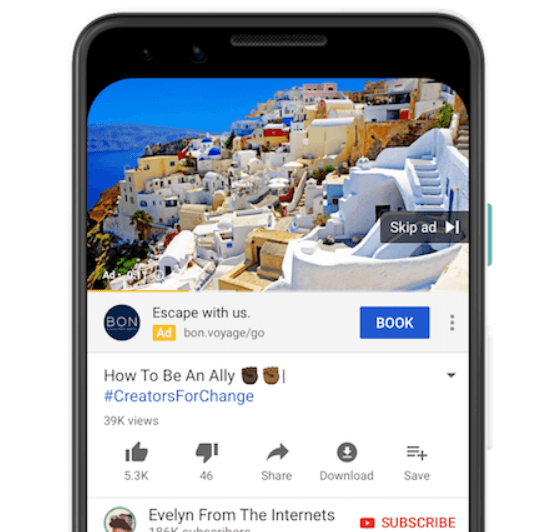 Now Google Adword has introduced out stream video Ads for advertisers to create brand awareness videos other than YouTube to operate Google video partner sites throughout mobile devices. To set up an Out-stream video Ads campaign; we can create a new video campaign (using the goal of "brand awareness and reach" and choose 'Out stream' as the campaign subtype. Also, we will be able to set bids and start/end dates. These types of Ads are more cost-effective and give you better reach beyond videos on YouTube. 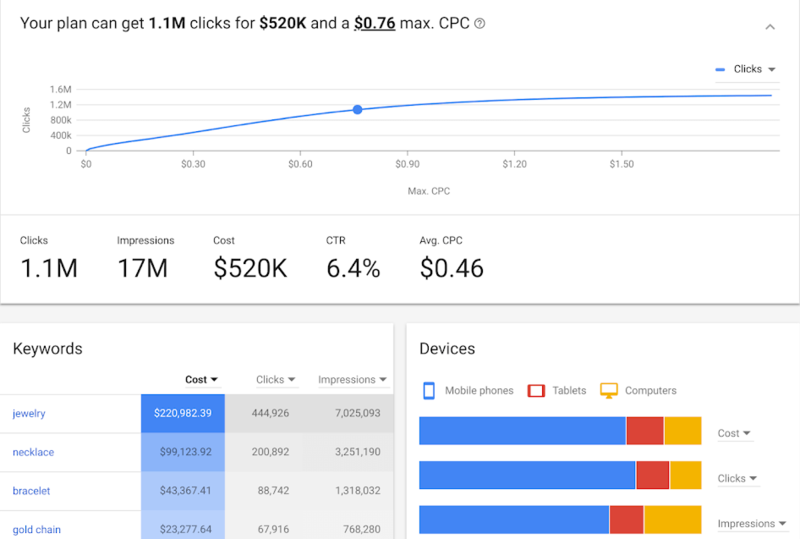 Google Ads has introduced a new tool called to be Reach Planner which is designed to help media planners and advertisers forecast the reach and frequency of video campaigns on YouTube and the video partners on the Google Display Network. 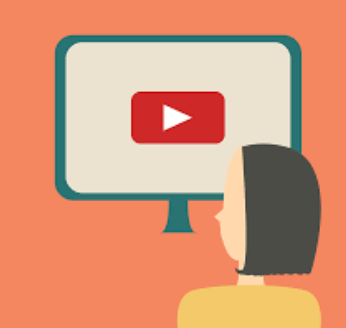 Reach Planner grabs the attention of audiences who matter most to your business with a customizable YouTube strategy. This tool also includes "product mix" which recommends the best YouTube format for your Ads. TV screen has now joined the group of mobiles, computers and tablets to be added to Google Ads so that it is easy for the advertisers to customize the campaigns according to the digital environment. "We've already seen that people react positively to Ads on the TV screen- based on Ipsos Lab Experiments, YouTube Ads shown on TV drove a significant lift in ad recall and purchase intent, with an average lift of 47 percent and 35 percent respectively." - Google. Cord cutter is one who forgoes a pay television subscription or landline phone connection in favor of an alternative Internet-based or wireless. 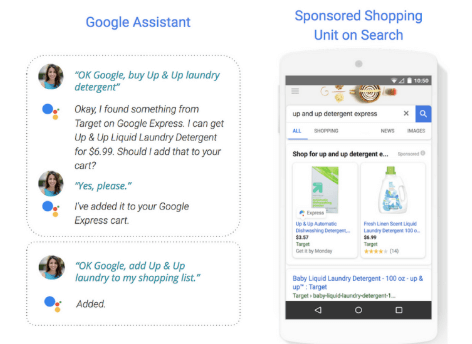 Update #29: Google releases AI Powered new Responsive Search Ads with more text. 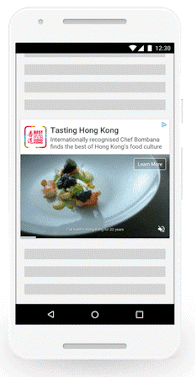 Now Responsive Ads in Google can show up to three headlines with 2 descriptions. There is no predefined order to set up these three headlines. There is an additional option to pin headlines and pin description to specify the positions in it. Advertisers can set up to 15 headlines and two descriptions of 90 characters, in responsive search Ads. It is always best to write headlines that are relevant to the keywords in the ad group. There should be at least one keyword in the headline to be valid. According to Google,"Responsive Search Ads have a 5 - 15% higher CTR compared to standard search Ads, not all advertisers will see the same benefit, so be sure to follow the following best practices to get the most out of your new Responsive Search Ads." Google Adword editor version 12.3 is now available for the usage of advertisers. This supports Search terms report, Filter functions, Edit Comma-separated Values import, Account-level extension associations, Custom intent audiences, Support for True-View for action campaigns, Shopping inventory filters, Freezable columns, Faster policy reviews when uploading Ads, Responsive search Ads. Google has introduced Adword notes that allow you to add notes on changes, results and more other details to your account. This option is available at campaigns, ad groups and at the account level. 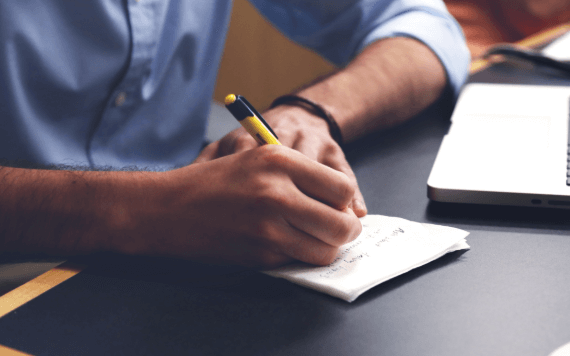 With the rebranding of Google Adwords to Google Ads, this feature remains unchanged as "Notes" with an additional option to edit and recreate. The most significant advantage of using this Google Adwords note is that it can be visible to anyone who has access to the account. While creating an ad it doesn't always result in a fine-tuned ad, there can be more edits and revisions applied to it. These revisions are being tracked by Google Adwords and it can be viewed by the advertisers in the Google Adword Version History. This feature will also enable the advertisers if they wish to turn back to previous edits. For the improvement of your ad campaign, Google has brought in recommendations which give you a list of suggestions for the improvement of your campaign. This will evade the process of signing into individual accounts just by signing into the manager account and check out possible recommendations on managed accounts in the recommendation page. 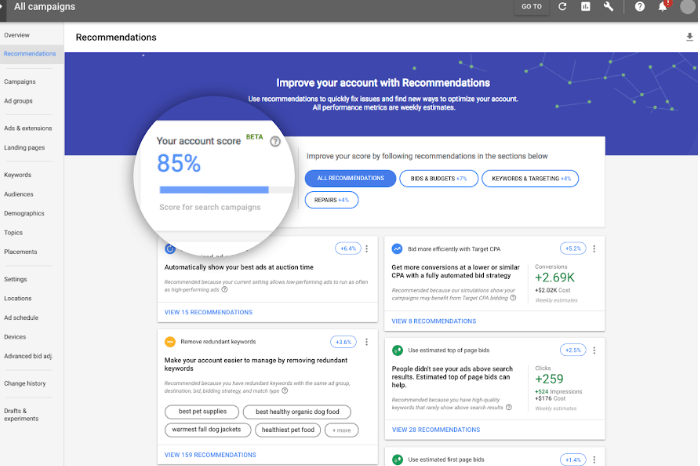 Introduction of Account preferences in Recommendation page visualizes where the campaigns need effective optimization. But this does not include quality score, ad ranks or anything related to it. 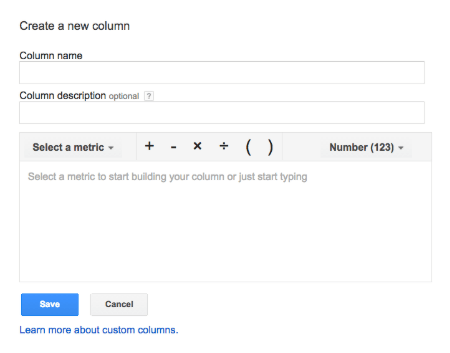 Custom Columns allow you to tailor custom columns to display specific views of your data. For instance; previously before the launch of custom column, you had no choice rather than using CTR. But now, Google has brought in custom column where you can define whether it is Mobile CTR or Desktop CTR. This new ad format includes the most prominent call to action option that allows the advertisers to reach the audience based on their related searches. 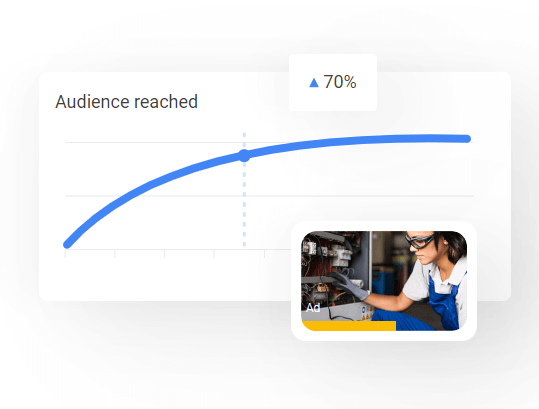 With the introduction of custom intent audiences to Display Network, the advertisers can build the audiences based on the report out of campaigns. Using True-view for action, advertisers can customize call to action which appears on the video Ads on YouTube. "Advertisers can add their own creative elements, like a logo or image, or Google will pull in elements automatically from the landing page." - Nicky Rettke, Group Product Manager, Video Ads. As per Google data, not all calls from Google Adwords are being answered; some may become missed calls. 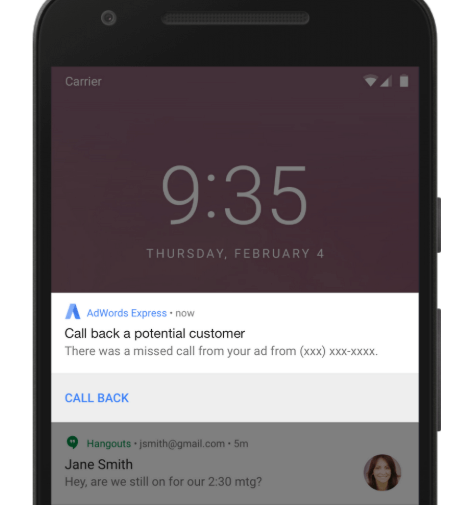 With the introduction of this new feature, Google Adwords express app will notify you on your phone screen. This feature will also send you feedback about the relevance of customer calls. This means you are more likely to receive a feedback notification after every call. 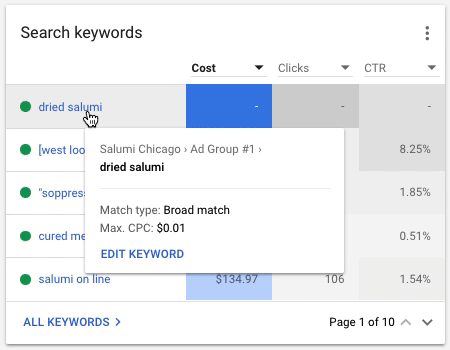 Google has introduced a new tool named Keyword planner tool in Google Adwords. This tool helps advertisers to gather data from their search campaigns and add on bulk keywords all in one piece which gives a better Google Adwords experience. The above data shows how the information has been summarized under the forecast section. 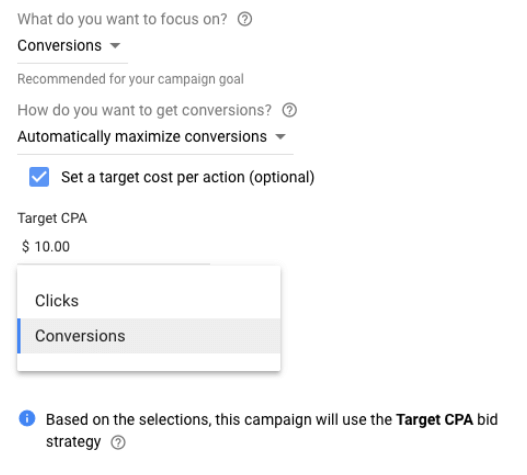 This feature is available to all campaigns for effective PPC management. 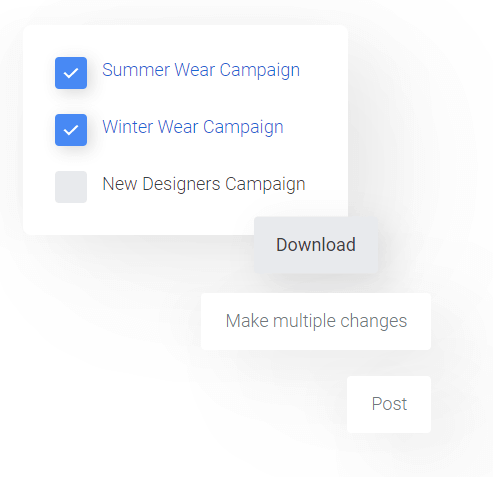 Coming to an end, this is not merely a list of updates but a list of useful tools, features and announcements for clever optimization of campaigns, ad groups and accounts.